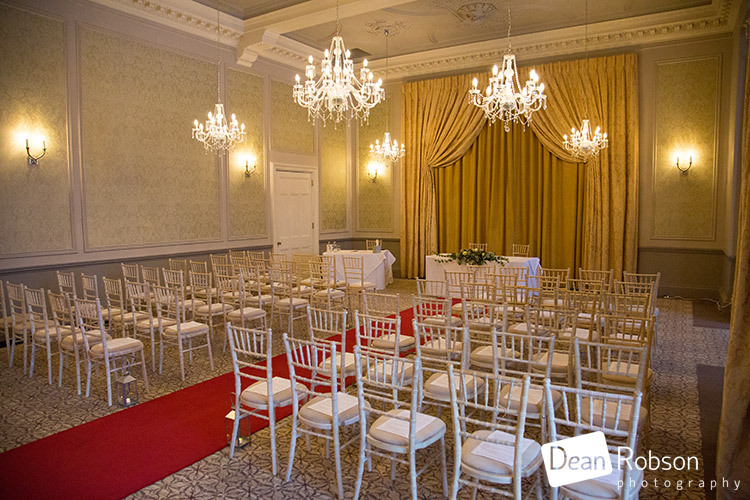 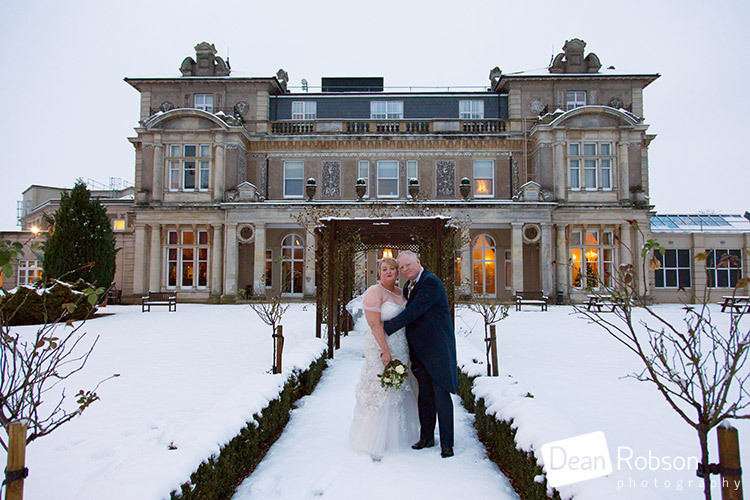 Down Hall Winter Wedding Photography: On Sunday I photographed Caroline and Gary’s wedding at the lovely Down Hall Hotel (https://downhall.co.uk/) near Hatfield Heath in Essex. 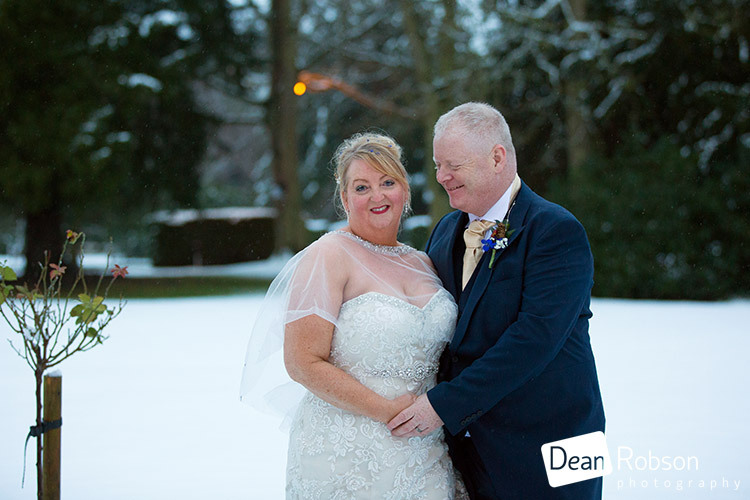 It was a cold winters day and there had been some snow overnight and on the morning of the wedding. 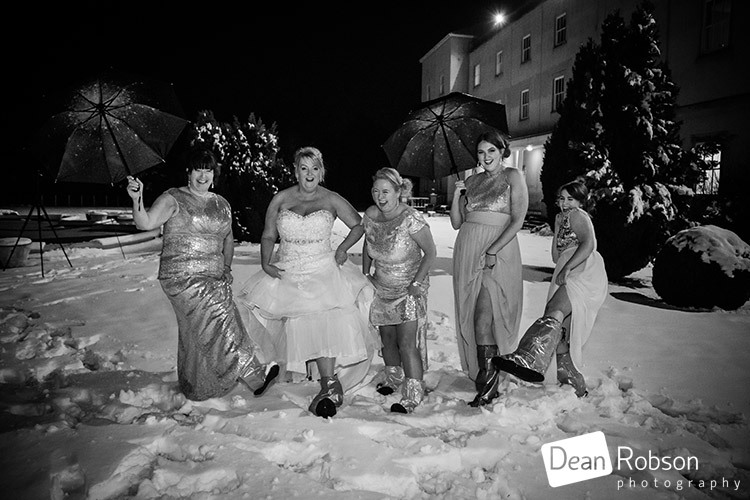 I arrived early for the wedding as the roads were very slippery. 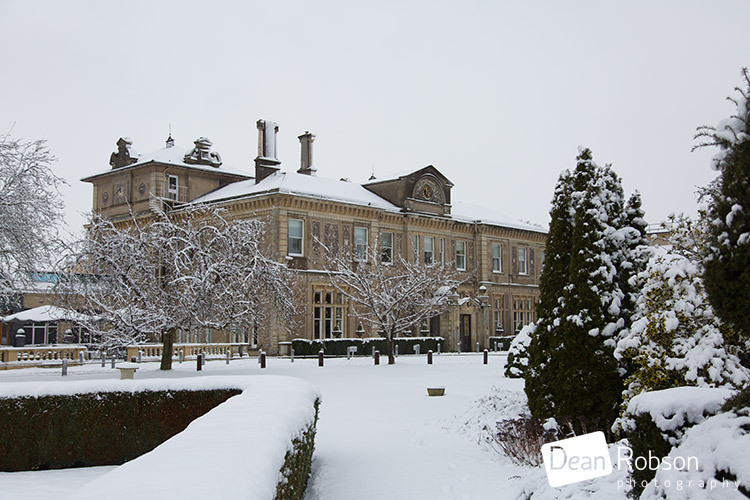 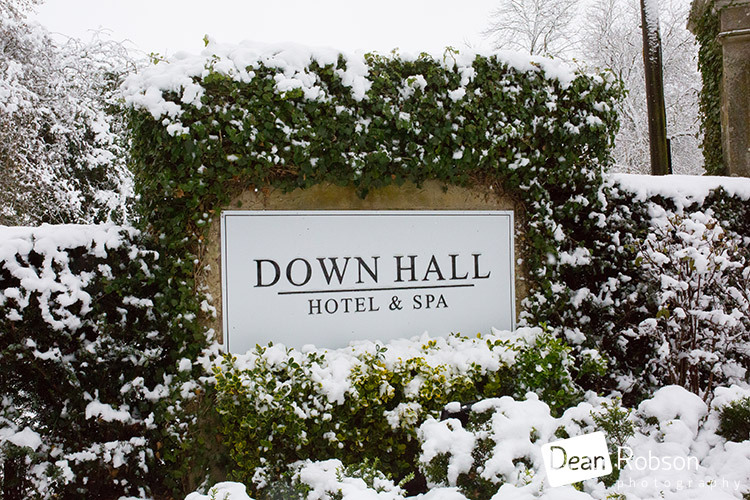 Down Hall looked very wintry all covered in snow. 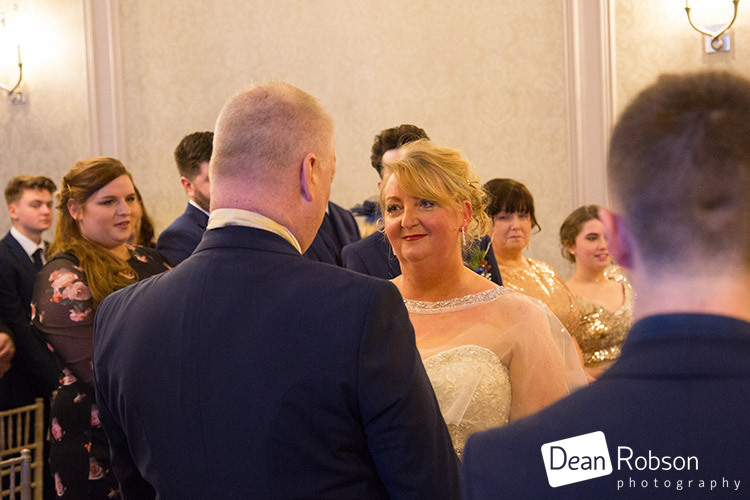 I have captured lots of detail shots, and some natural candids to try and tell the story of the wedding, showing the fun side as well. 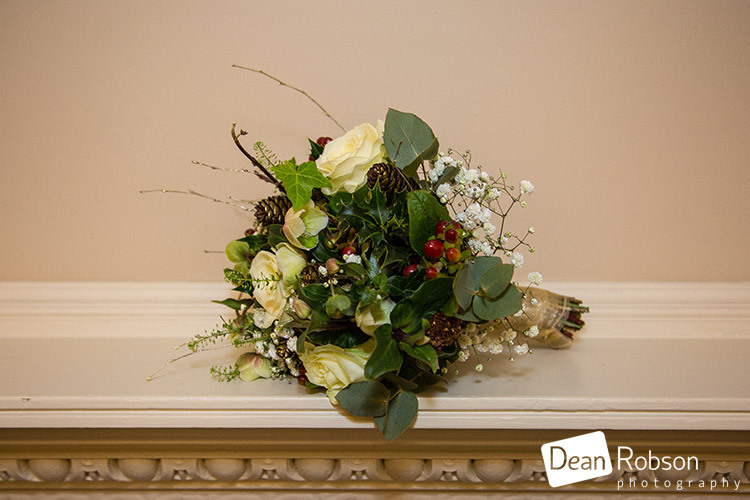 The flowers were by Daisie Chain (http://daisiechainflorist.co.uk/). 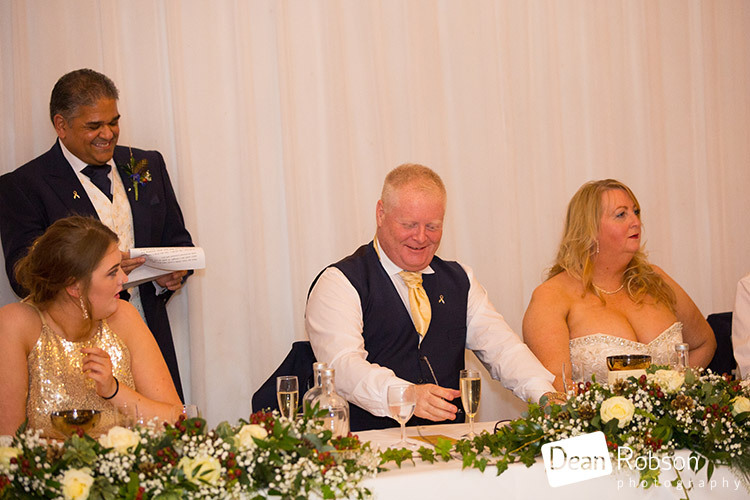 Howard Robbins was the official Toastmaster. 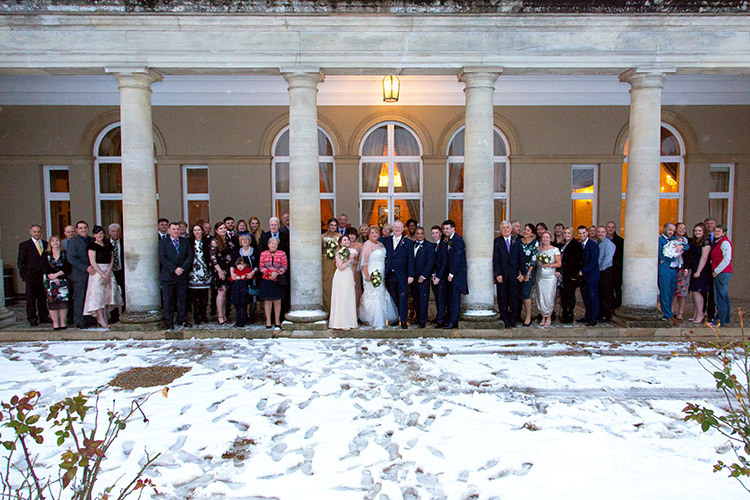 After the ceremony we headed outside for the big group photograph, but as the lawn was covered in snow we opted to take it on the veranda. 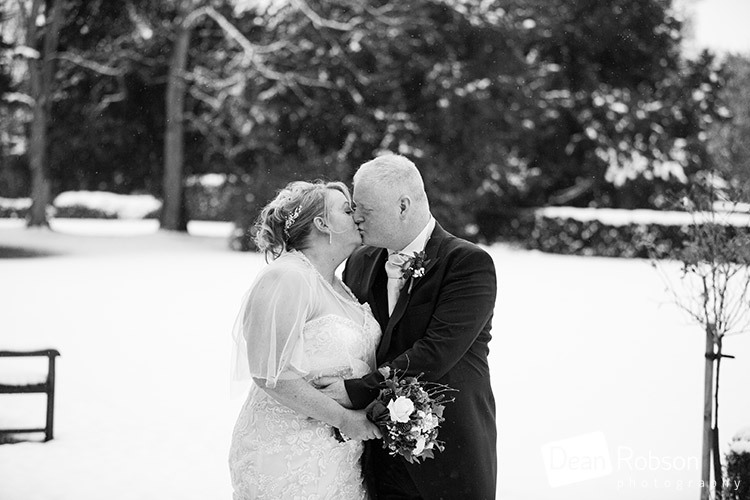 The couple were happy to brave the elements for a few photographs too! 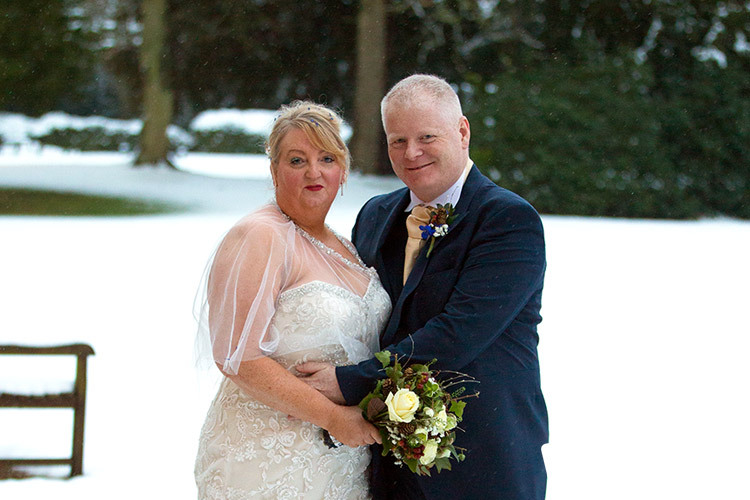 It was a late ceremony and the sun went down before 4pm, but that didn’t stop us! 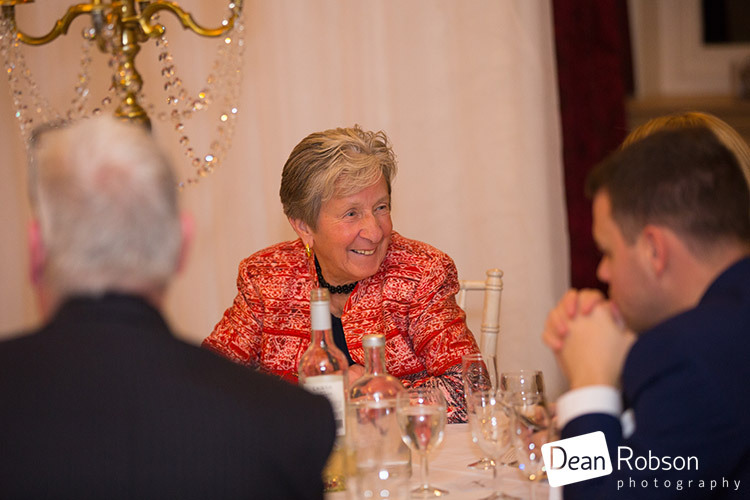 There was a special surprise for everyone after the meal and speeches. 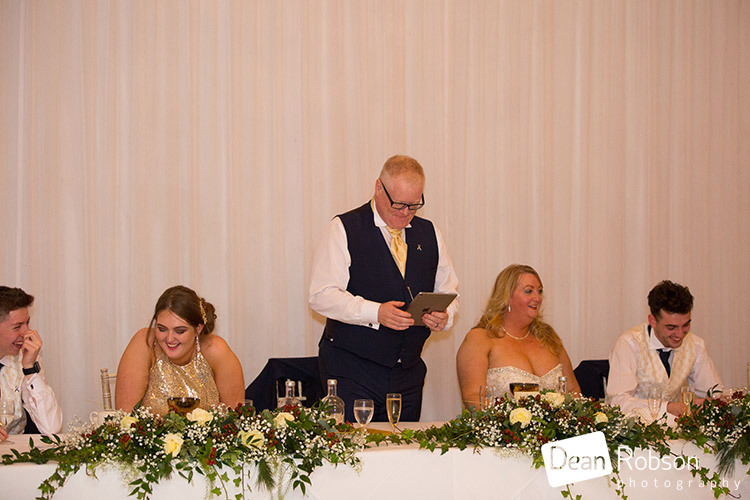 Joe from Lovelight Entertainment (http://lovelightentertainment.co.uk/) was the evening DJ. 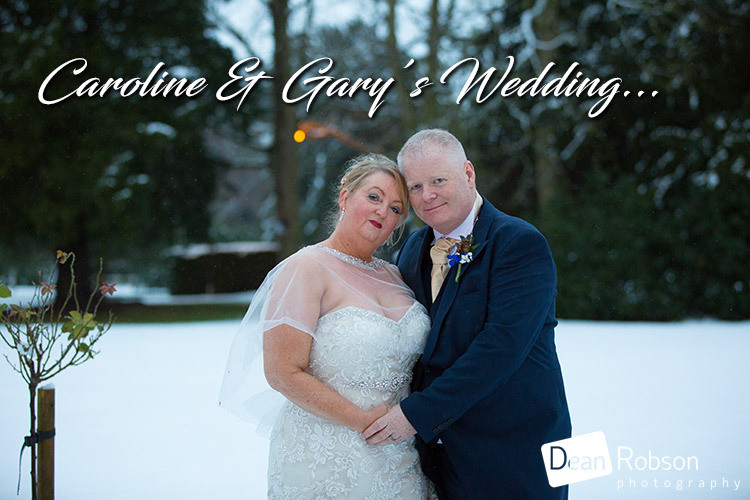 I had a great time with Caroline and Gary. 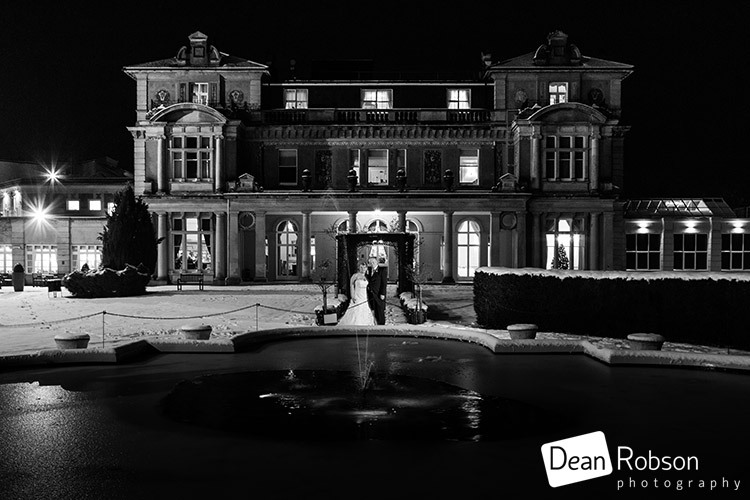 Cloe and the team at Down Hall were amazing too! 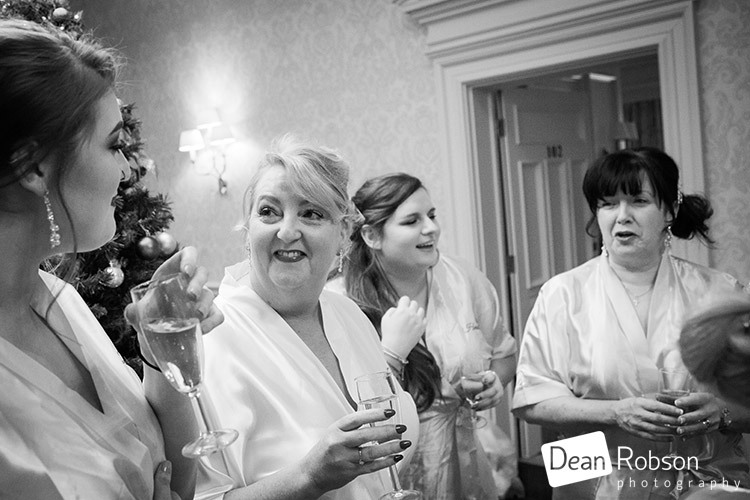 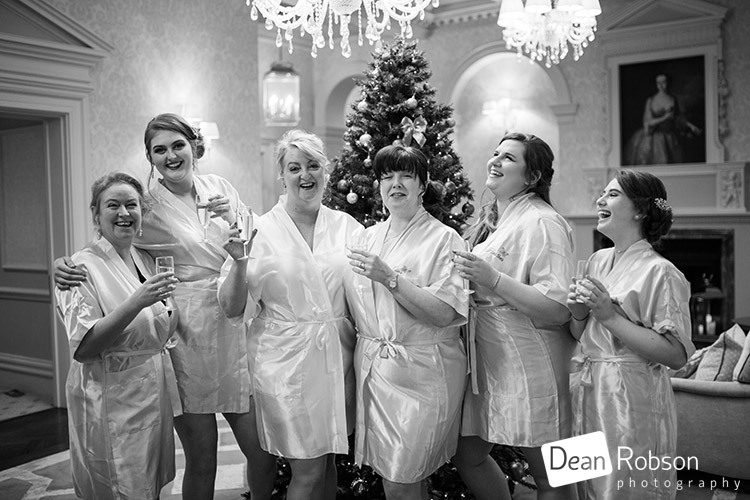 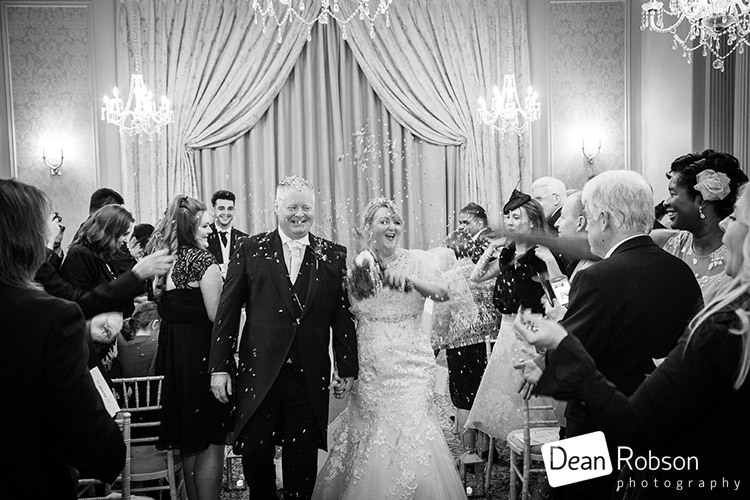 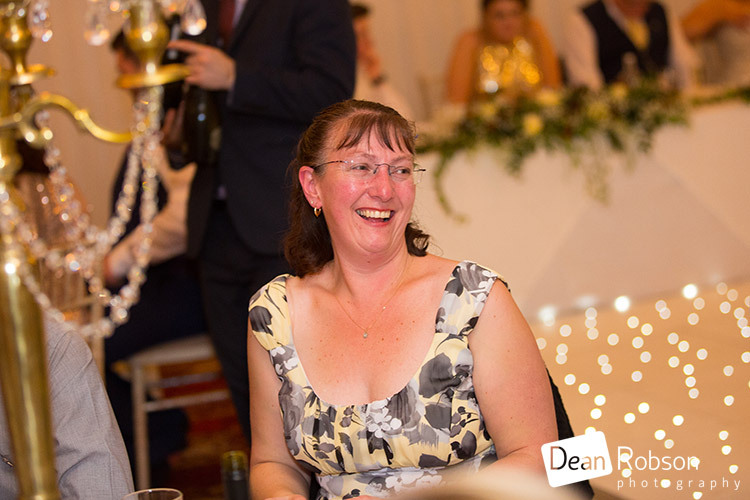 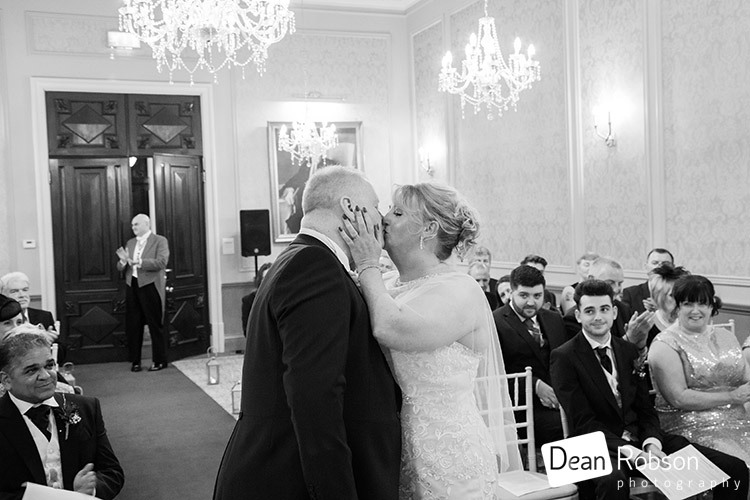 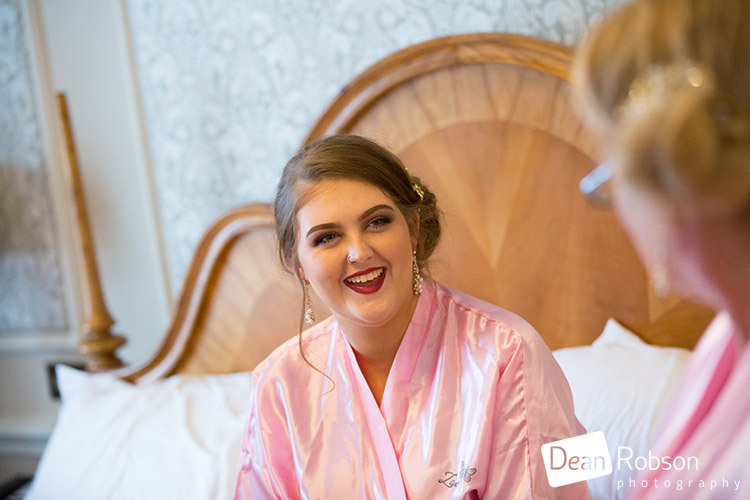 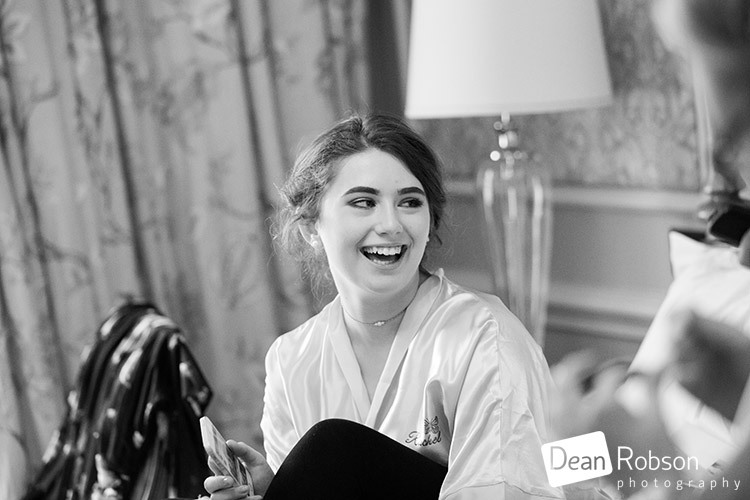 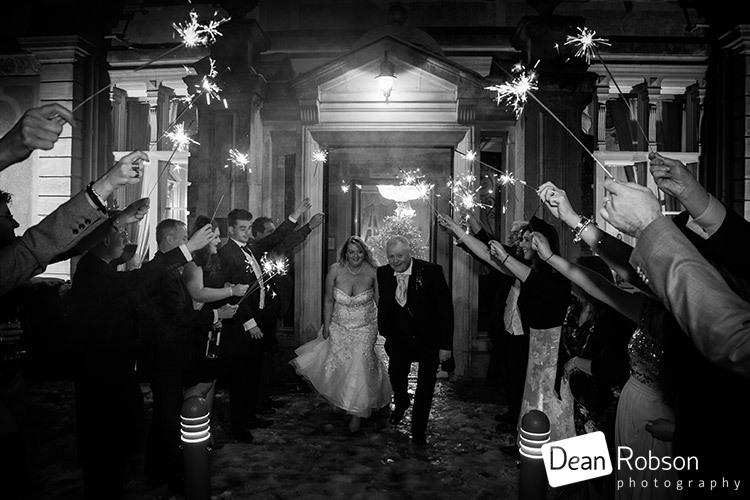 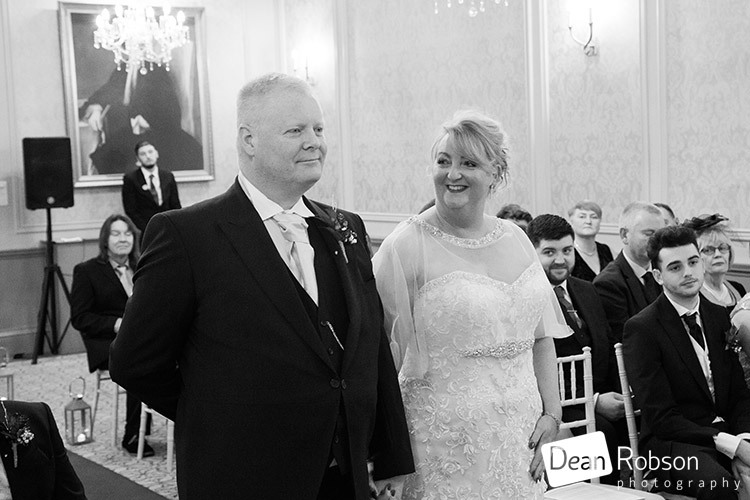 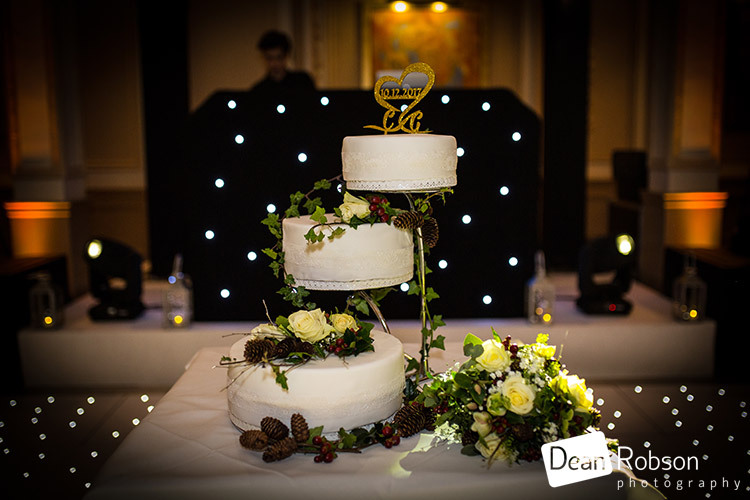 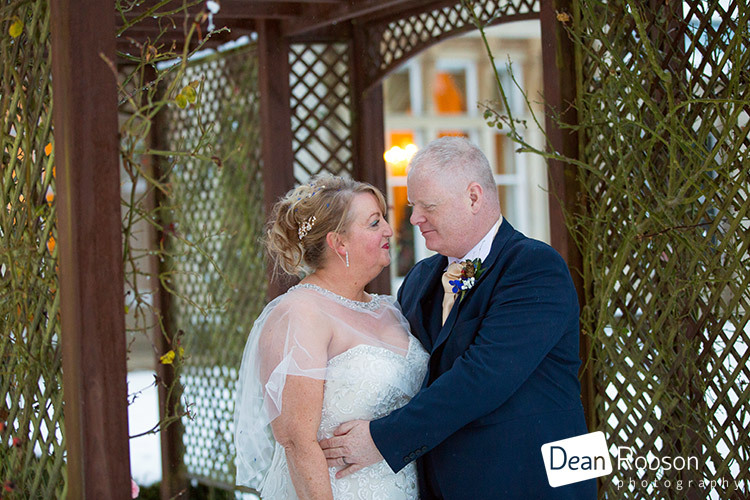 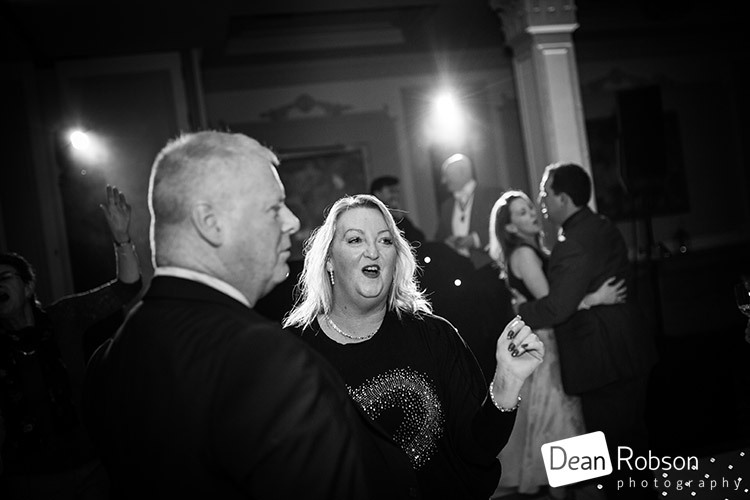 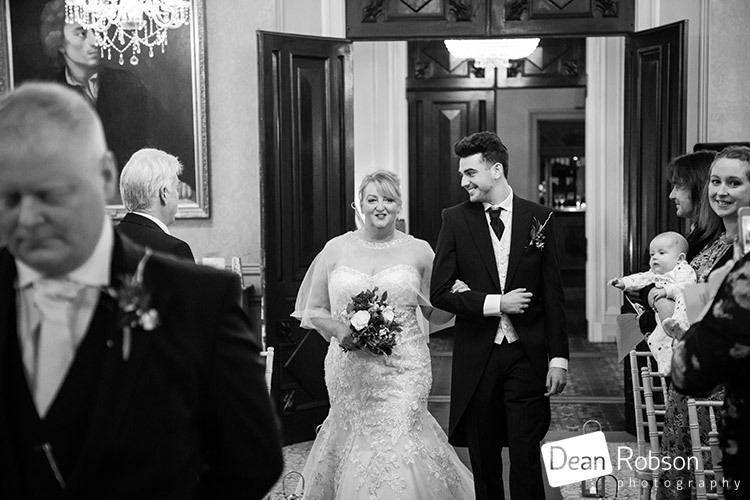 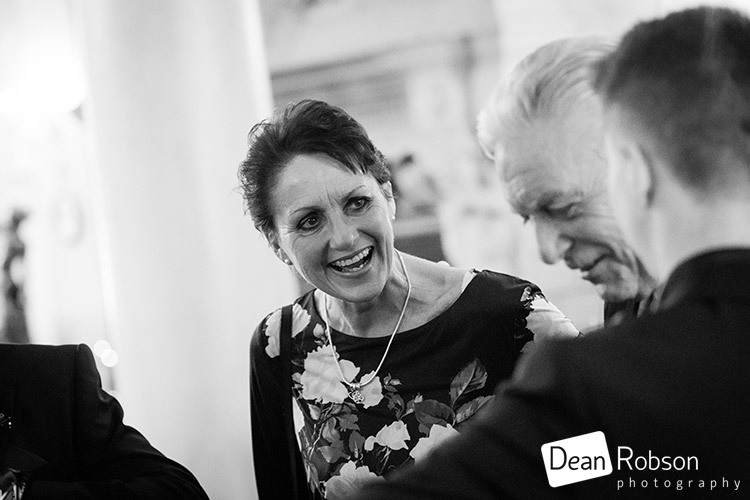 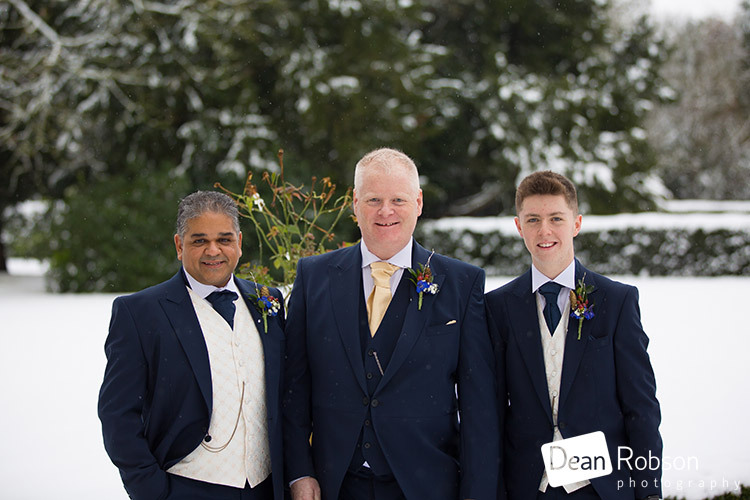 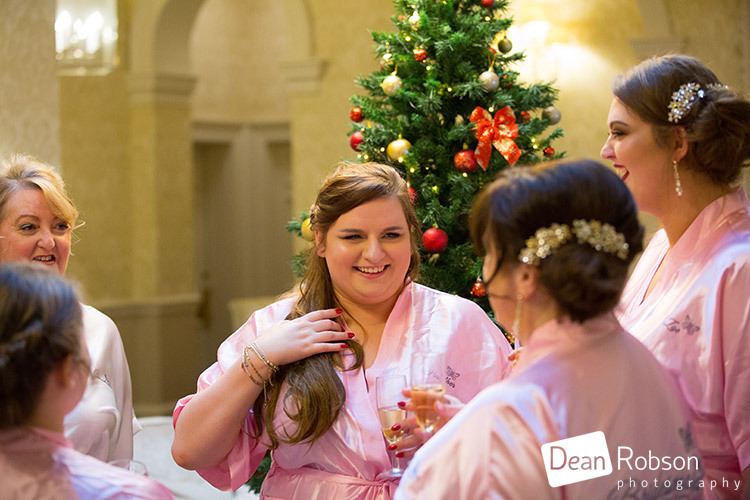 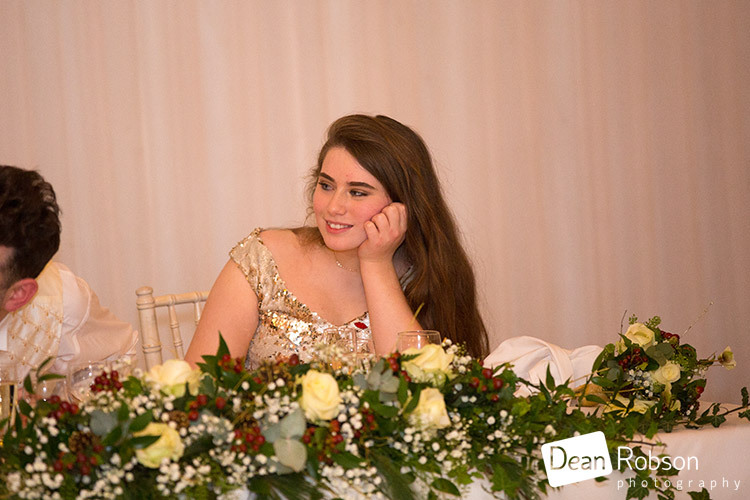 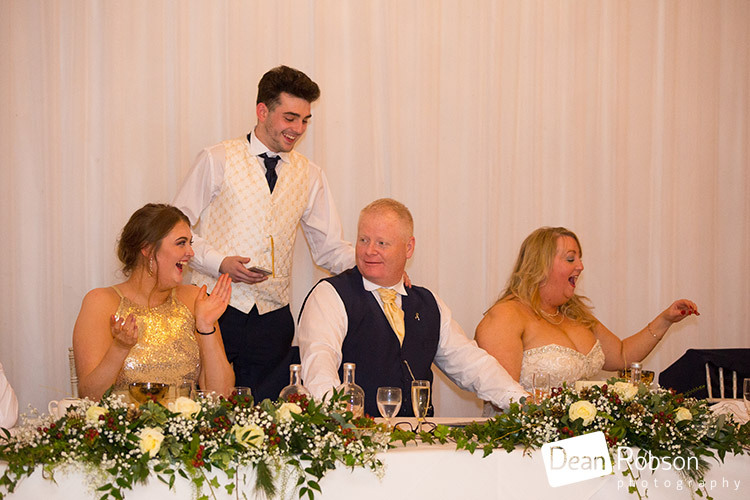 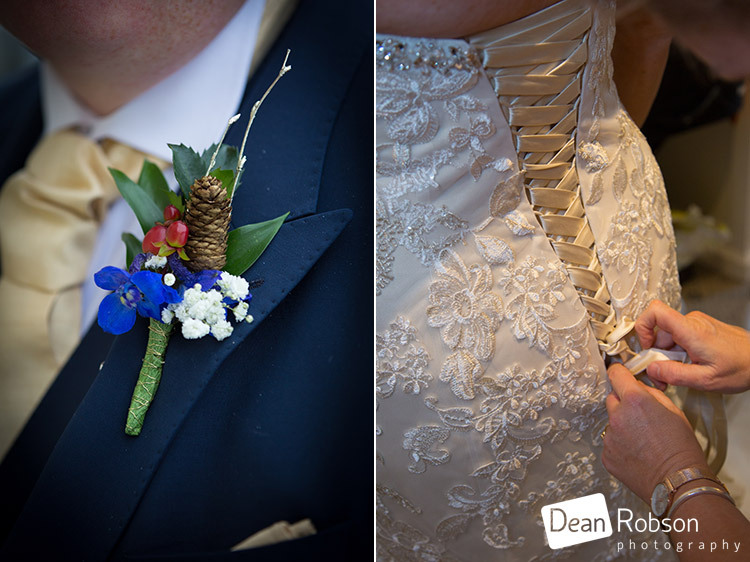 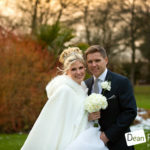 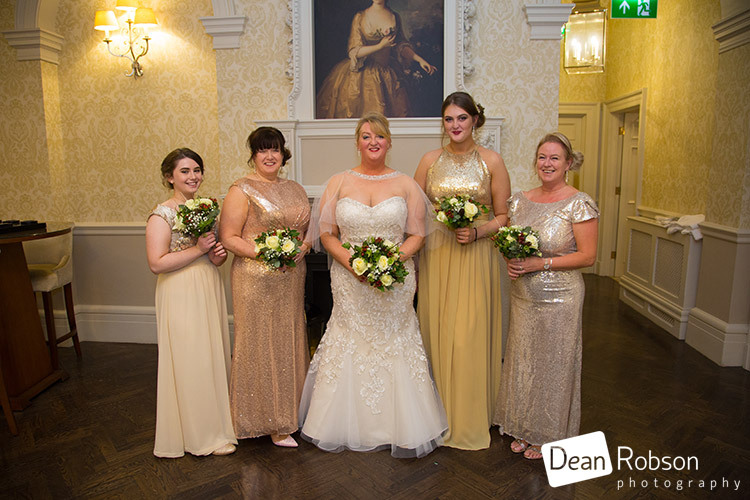 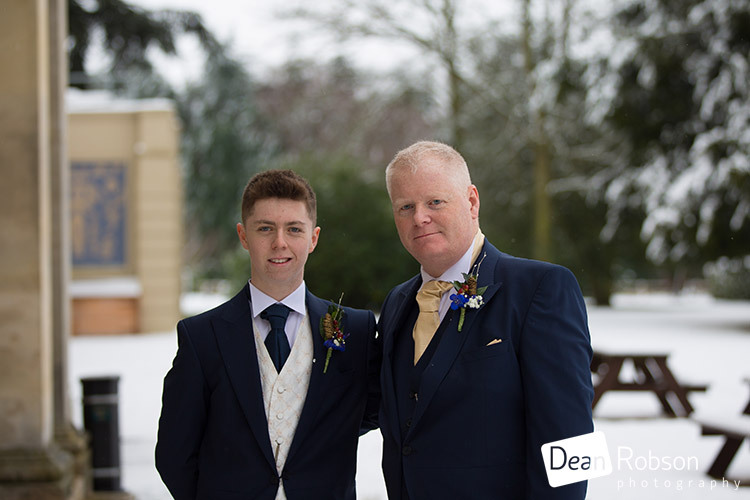 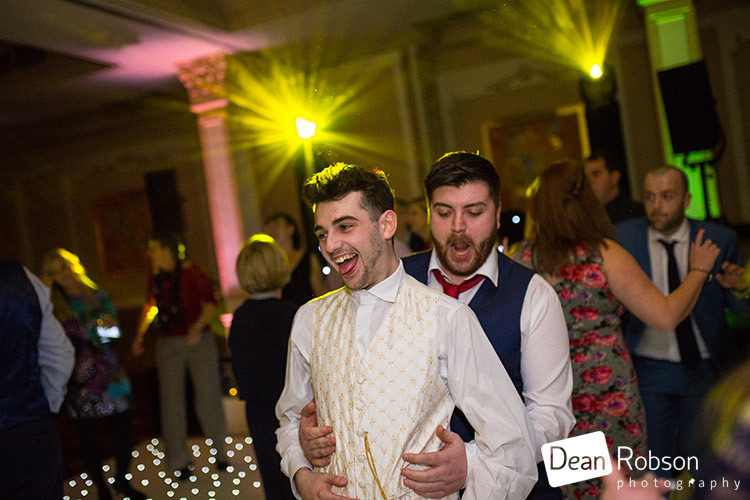 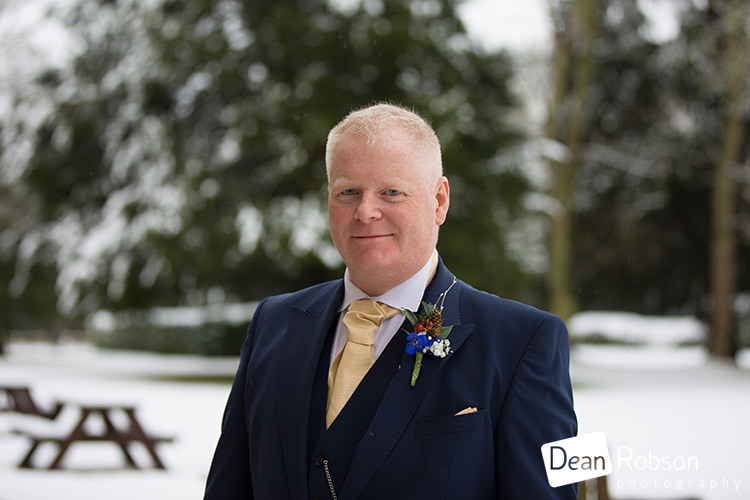 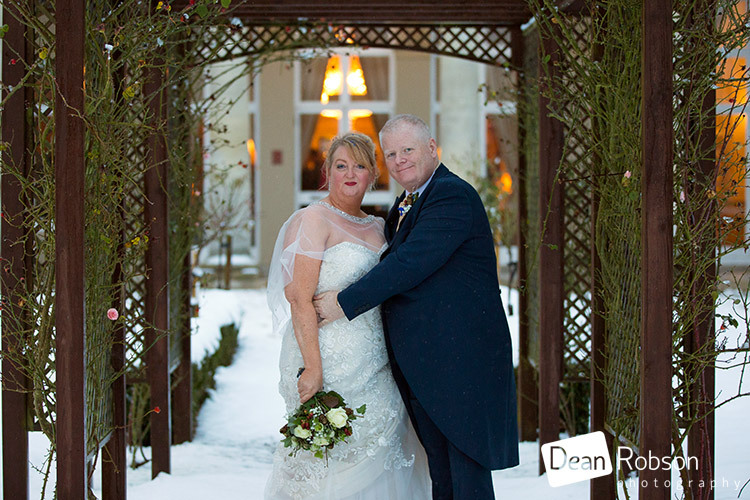 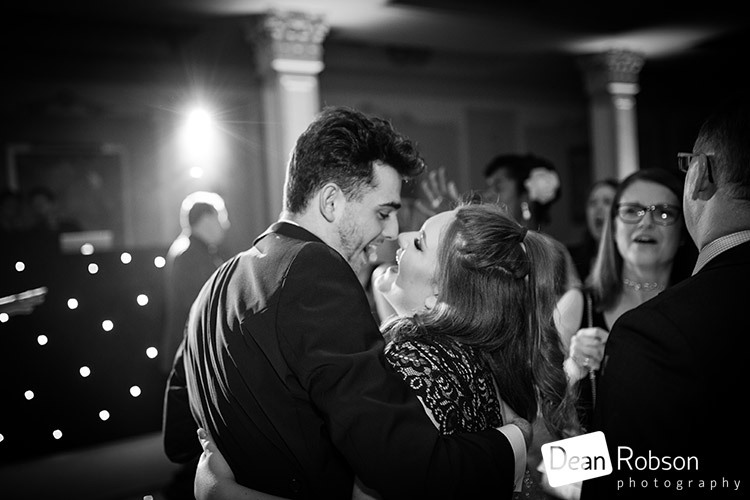 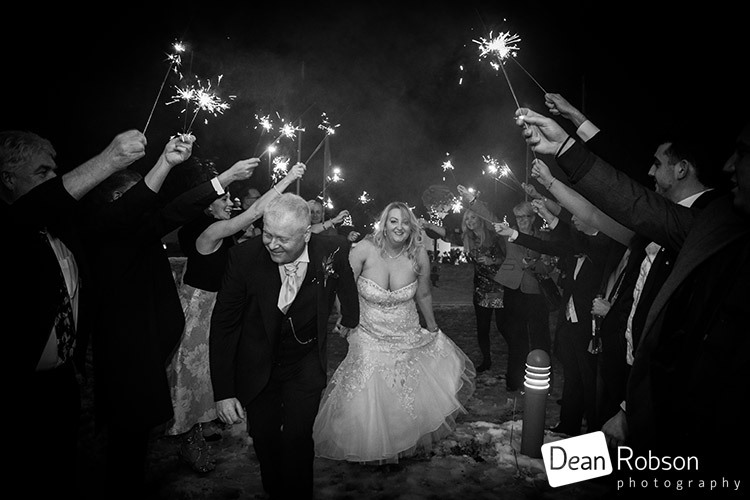 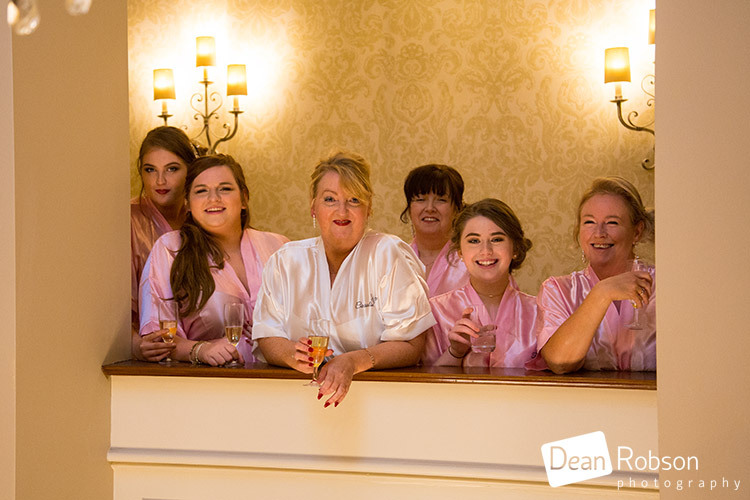 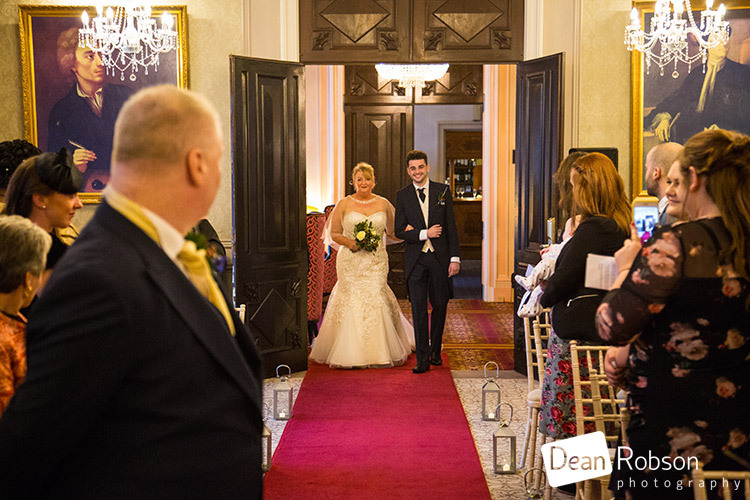 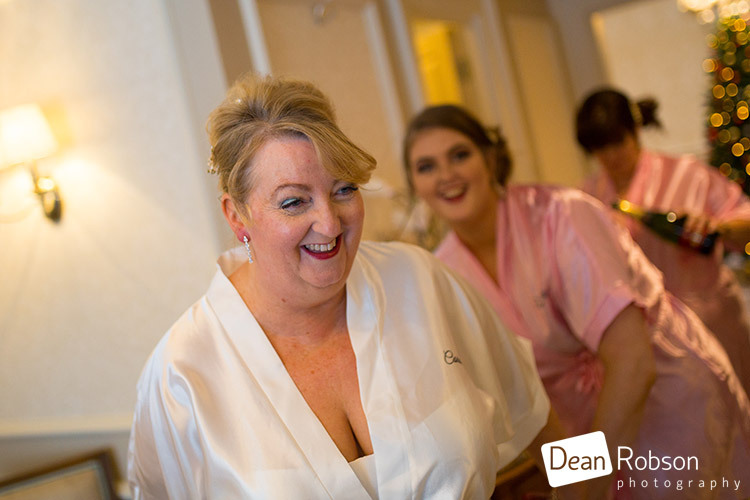 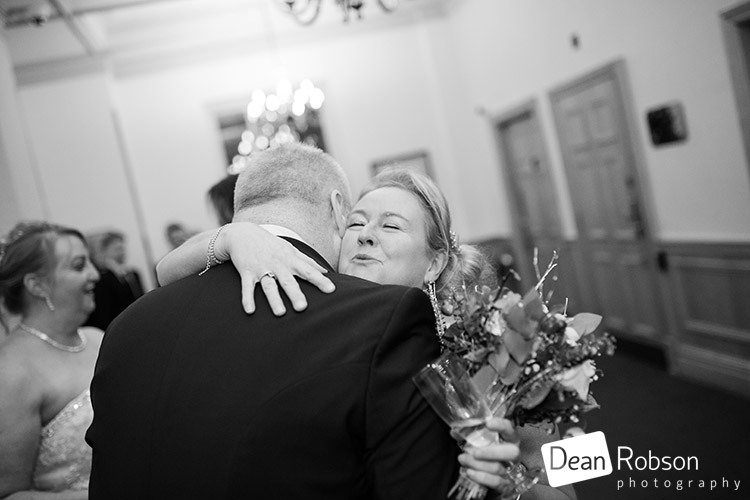 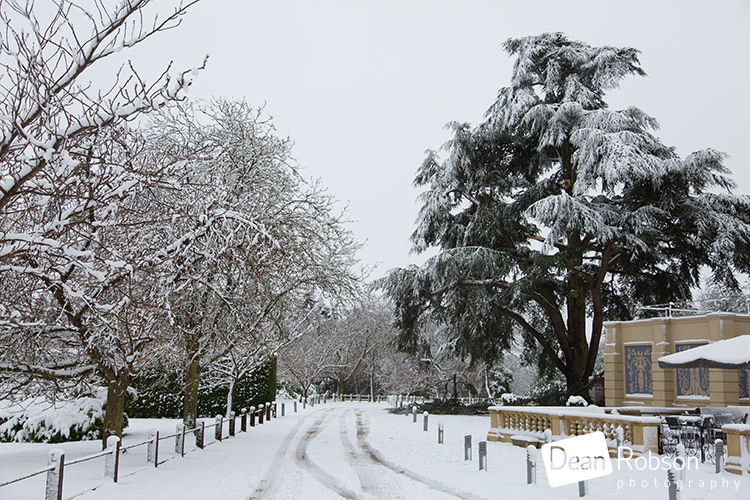 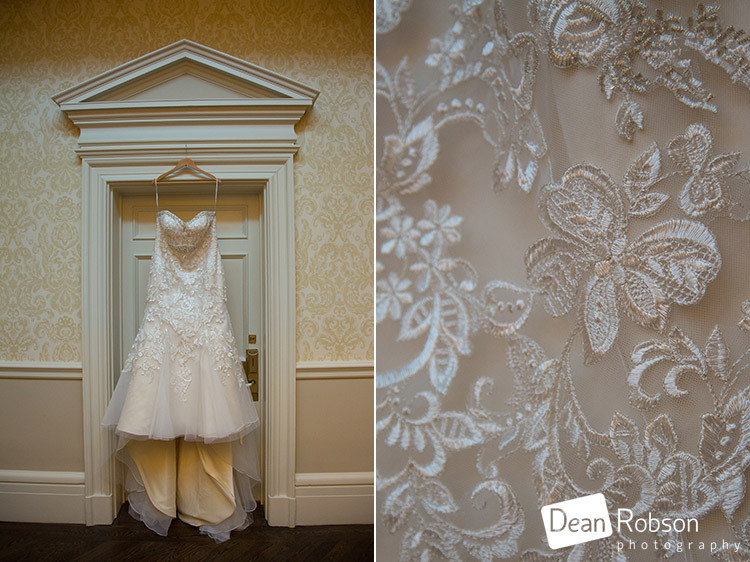 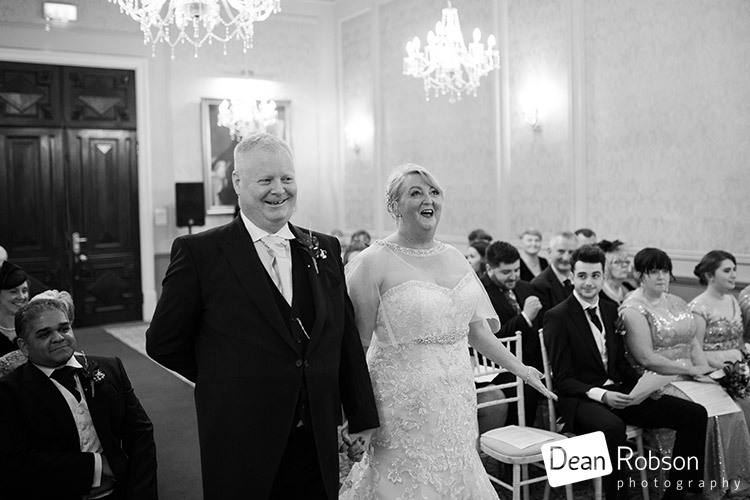 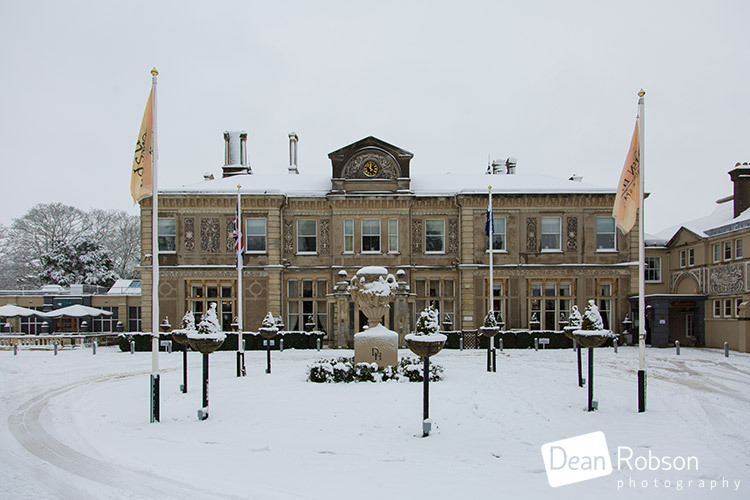 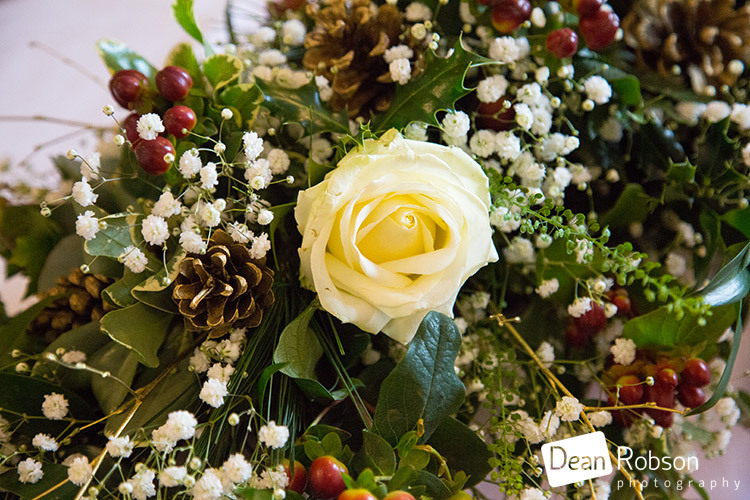 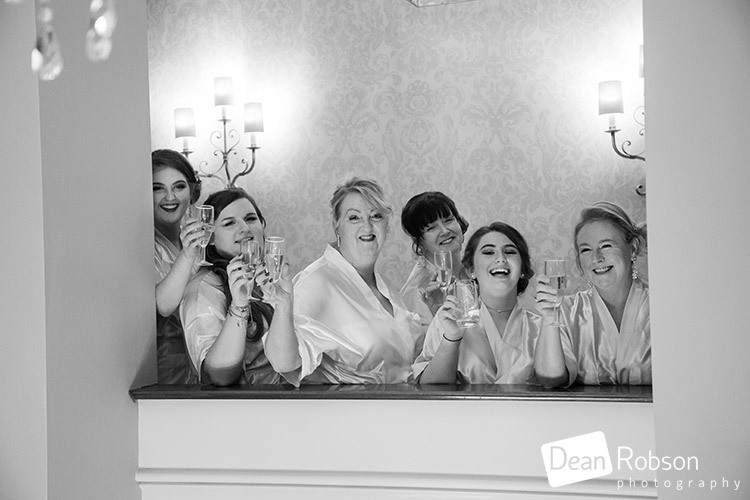 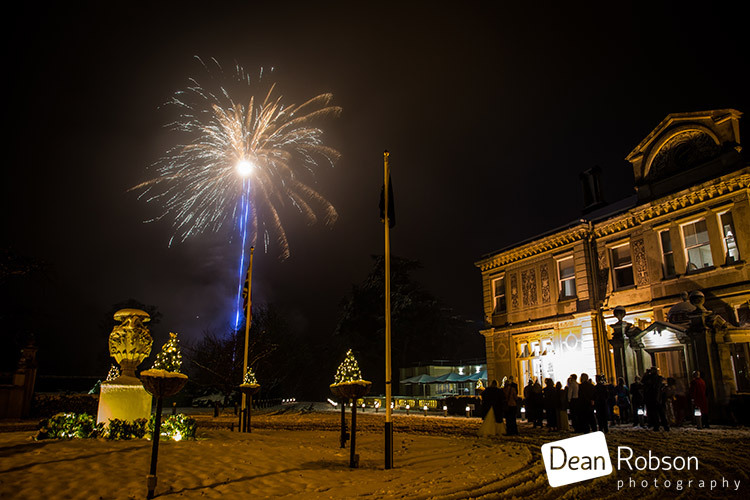 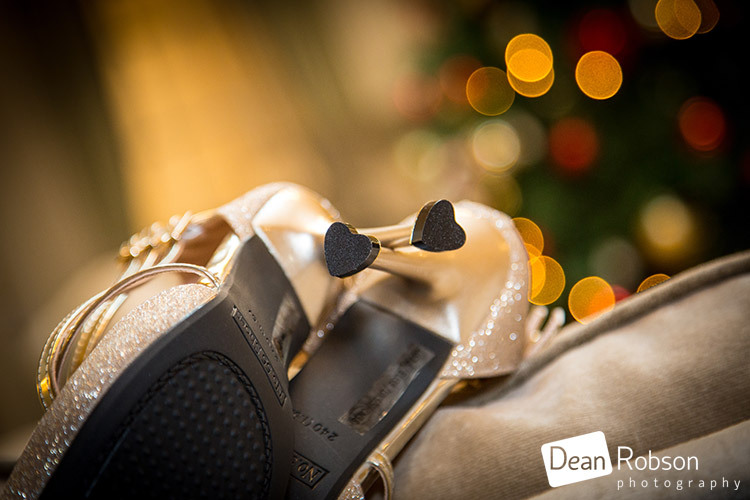 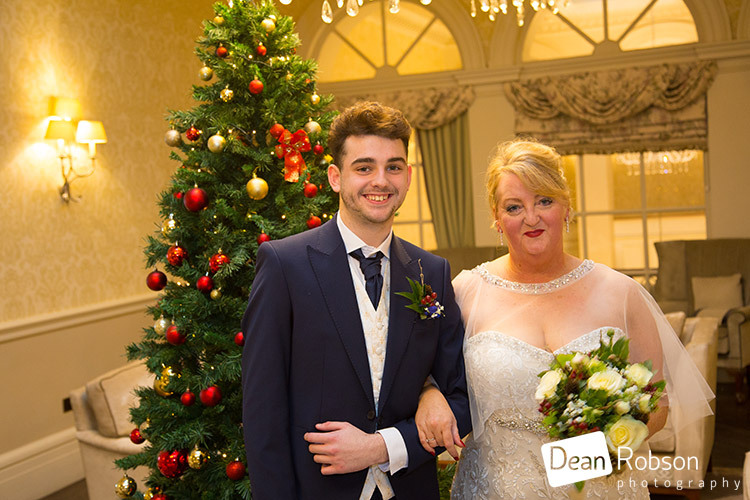 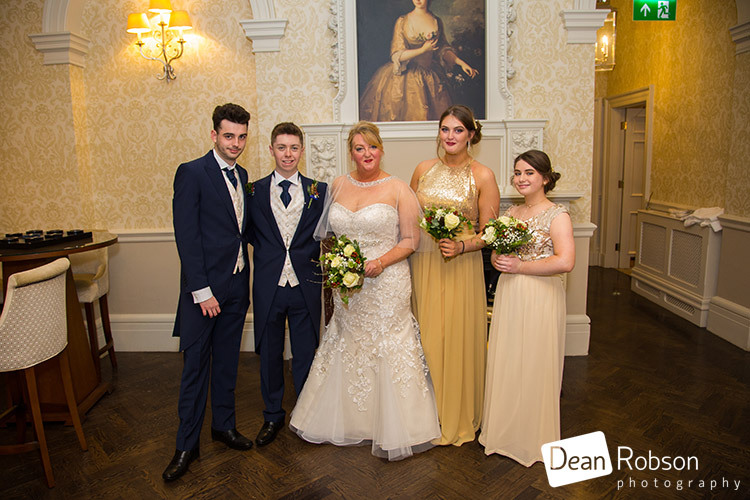 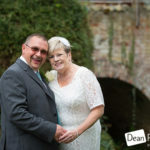 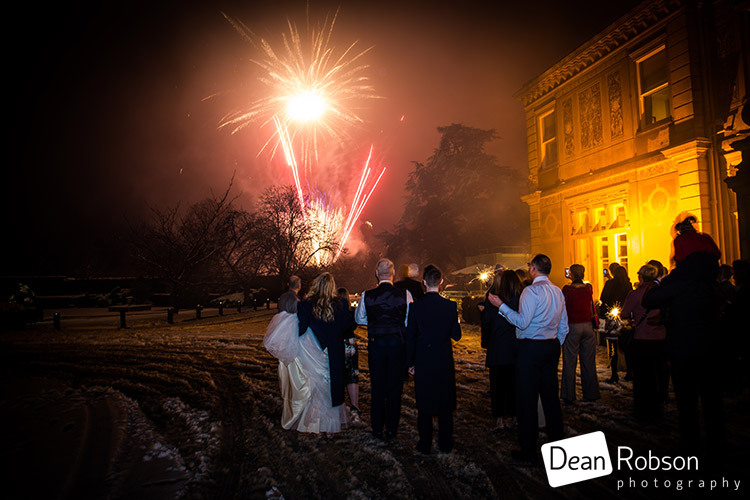 By Dean Robson (Blog feature written December 2017) – Qualified and Professional Wedding Photographer based in Sawbridgeworth – Down Hall Winter Wedding Photography by Dean Robson Photography Natural Wedding Photography for Hertfordshire and Essex.